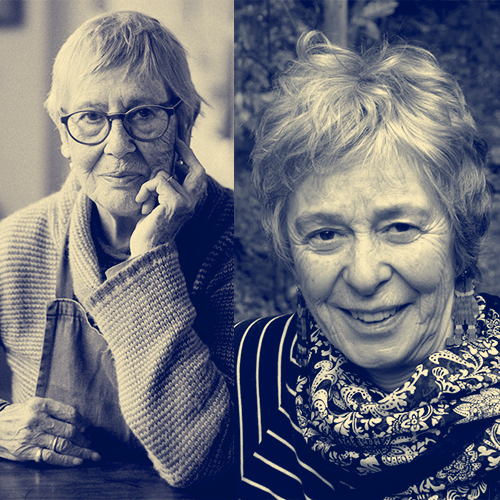 Anna Del Conte has spent five decades writing about Italian food from the Renaissance to the twentieth century, and from the foothills of the Alps to tip of the Italian toe. Her many books are as authoritative a source as you will find on classic Italian food, and are not only a pleasure to cook from, but a delight to read. At the age of 91, Anna could be excused for declining to experiment with the new gluten- and milk-free ingredients that are flooding the market, but on the contrary – she has taken up the challenge with a will. 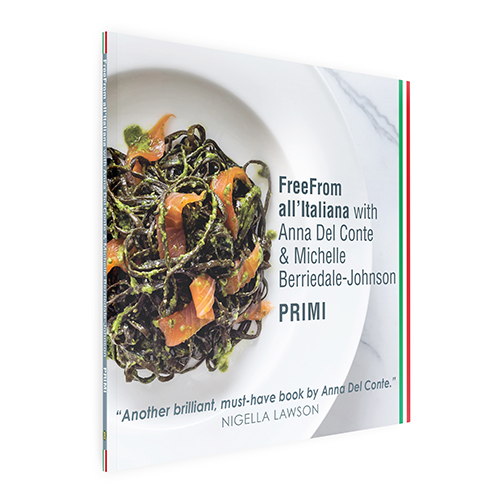 The recipes that follow are a combination of classic recipes that are either naturally freefrom or have been adapted to be so – with new recipes designed for the many new, gluten-free pastas available. Michelle Berriedale-Johnson has been involved with food allergy since the late 1980s, when her small son was diagnosed as milk intolerant. 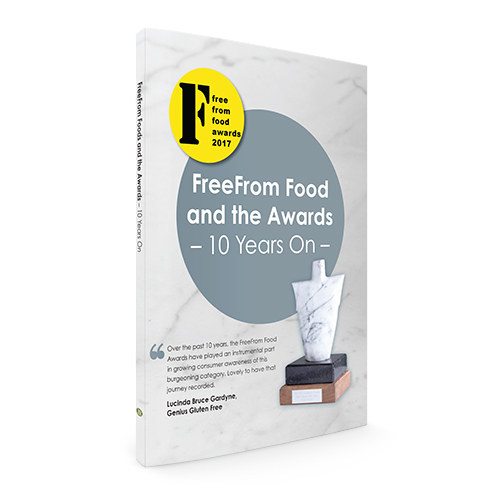 Since then she has manufactured freefrom foods, written more than a dozen books on allergy and freefrom, run an allergy magazine and now edits an extensive website – Foodsmatter.com – on food allergy and intolerance. She also runs the very successful FreeFrom Food Awards and FreeFrom Eating Out Awards, and is a regular speaker on allergy and the freefrom industry. Anna and Michelle have been cooking together since they met in the 1980s over Cristoforo di Messisbugo’s recipes which may, or may not, have been used at the court of Lucrezia Borgia in the early 1500s.